Police, legal, and Elder Care phone numbers and addresses. 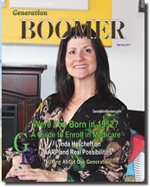 Sign up for our e-mail notifying you with the index for the newest edition of Generation Boomer on-line and ready to enjoy. This mailing list is for use by Generation Boomer only and will not be sold, given, or shared with anyone else. 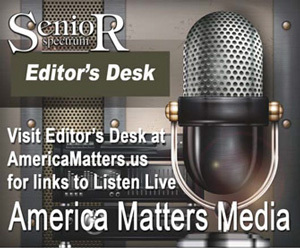 Join Senior Spectrum Newsmagazine for a full hour discussion of senior issues on America Matters Media, 1180-AM, noon-1 p.m. every Wednesday. Listeners can call-in or join the discussion at the Reno Town Mall studio. Call locally at 775-827-8900 or 844-790-TALK. Call Senior Spectrum for details - 775-348-0717. Nevada's #1 news source for Senior Services and Community Resources.